Cosimo’s Hudson Valley Pomodoro is Hand Crafted using old family recipes, the freshest ingredients and San Marzano Tomatoes. 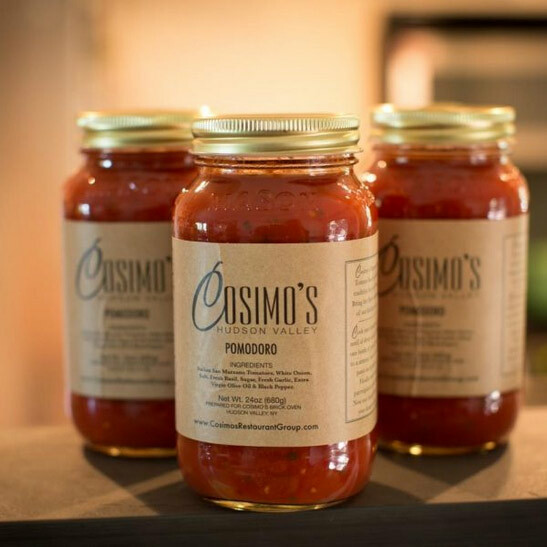 Cosimo’s Signature Plum Tomato Sauce has been a family tradition for over 40 years. Bring the flavor and passion of our kitchen to yours!